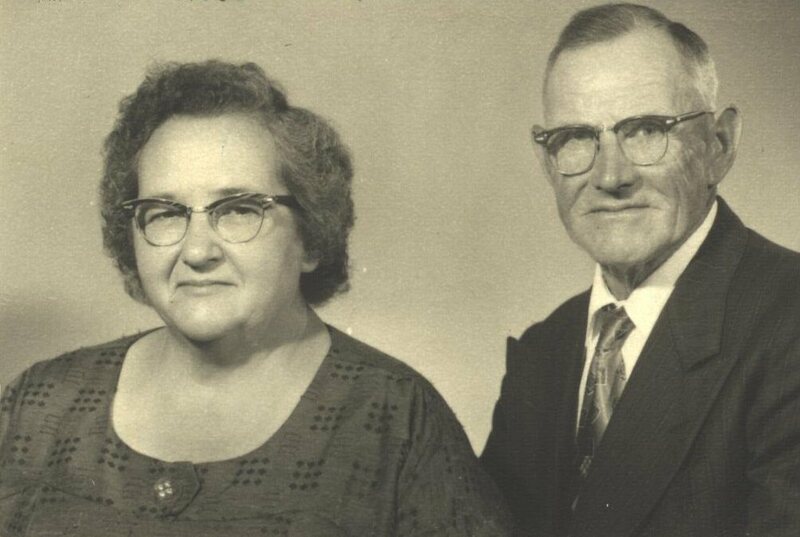 George Benton and Maude Mae Sisson Fry were the third generation and the grandparents for many of the cousins who put together this collection of photos. 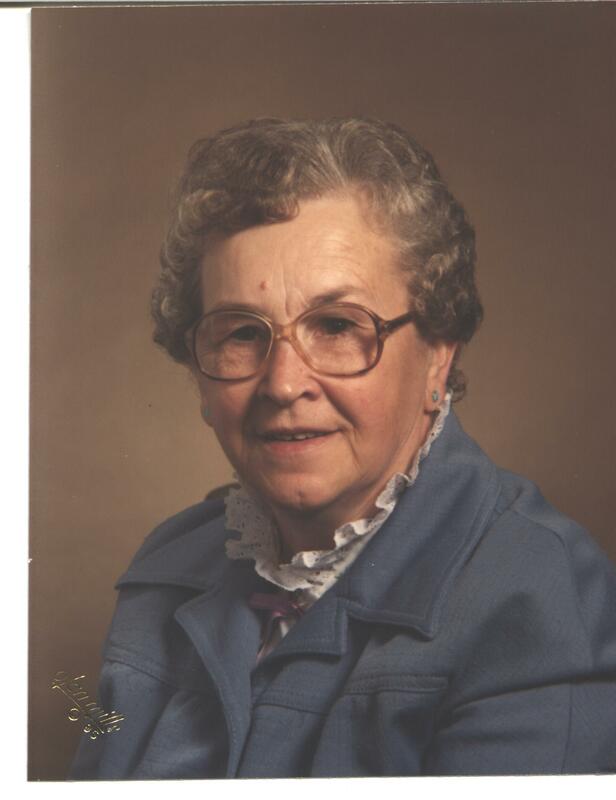 My sister remembers Grandmother Fry suffering from congestive heart failure, called "dropsy" at the time. 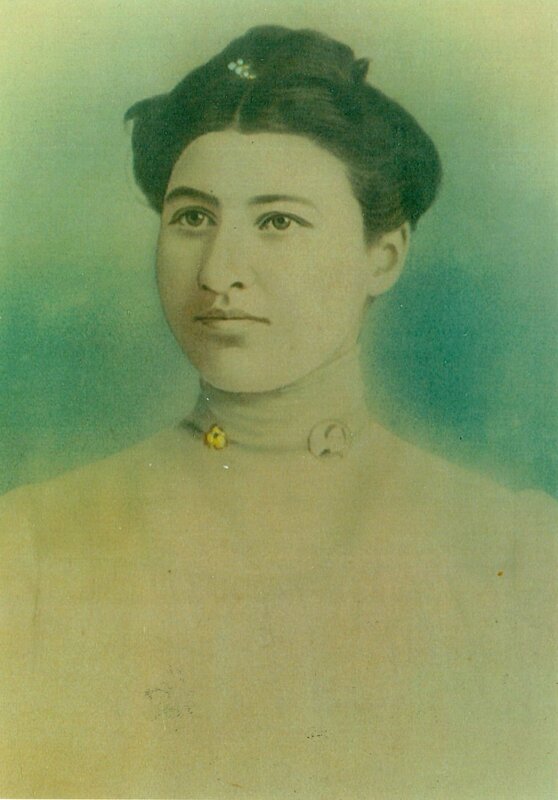 Maude Mae was forced near the end of her life at the farm in Nankin to sleep upright in a rocking chair because of the inability of her lungs to stay clear. 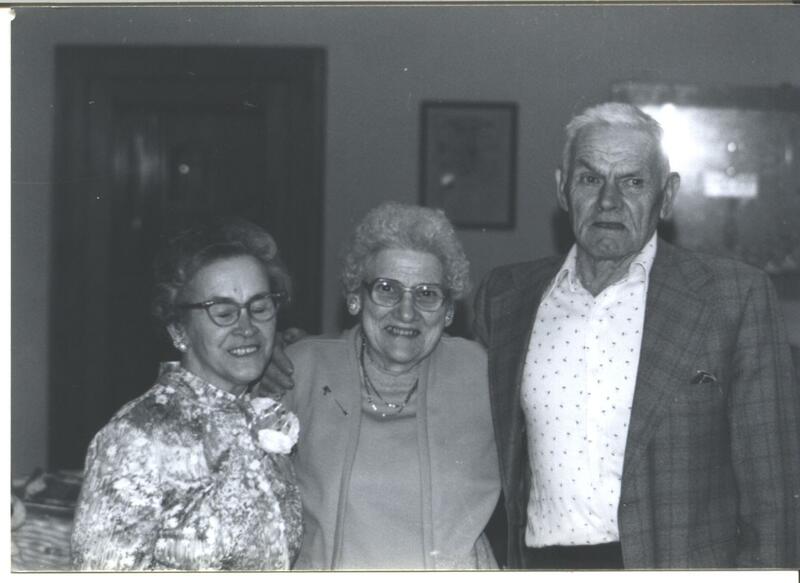 Many of the cousins remember at least one of these two grandparents, who often hosted family reunions for their nine living children and both the Fry and Offineer families. 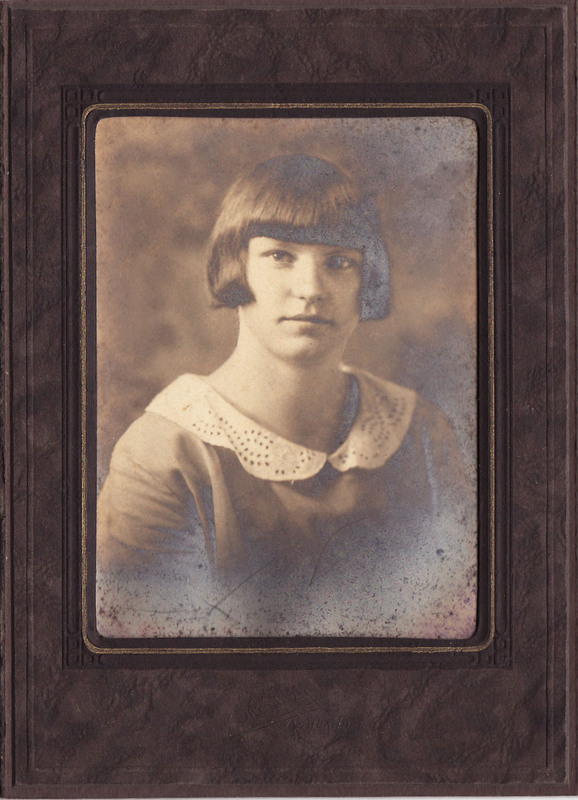 My sister Lucille, who was four at the time of Mae's death, remembers being at her paternal grandparents when her father, Charles Doren Hyde, and uncle, Jack (Clifford Earl) Fry, came in from an evening out to inform them that she'd died. 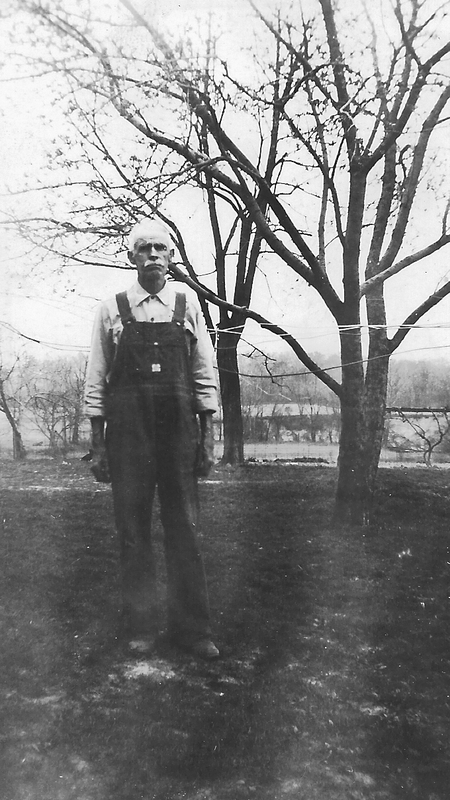 As many of the pictures on this website indicate, George Benton Fry was a farmer with a dairy barn (still standing in 1992) and mixed crops. Included were sugar maple trees used to create maple syrup and maple sugar candies in the spring. The farm is on Township 673, just east of Ohio route 58 and not far from the residences of the Pences, his son-in-law's family. 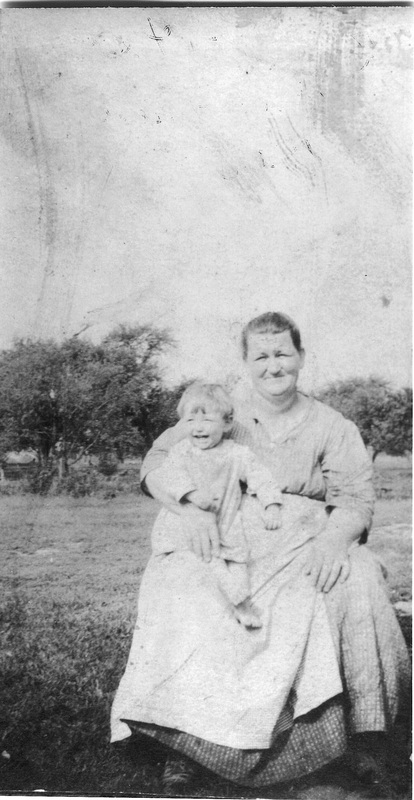 Daughter Evelyn would later describe the period of the Great Depression on the farm as not being wealthy but "always having enough to eat". By contrast, her husband would describe growing up during the Depression in Buffalo, NY as increasingly desperate. He would first lose his father to a pancreatic cancer, then his mother would lose two houses for back taxes after tenants failed to pay the rent. His education being interrupted at the end of high school, he then was forced to fall back on the Civilian Conservation Corps for employment. 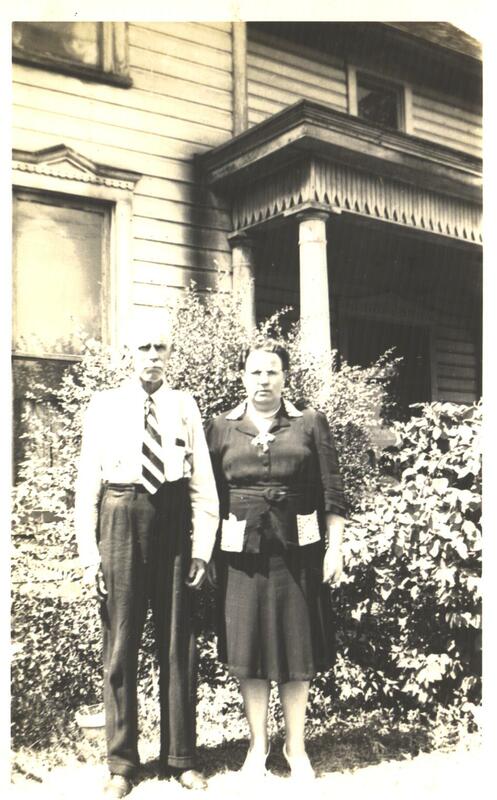 George Benton and Maude Mae's surviving children were: Myrtle Irene (1898-1972); Donald Raymond (1901-1973); Montgomery LeRoy (1902-1979); Bernice Lettie (1904-1983); Edna Elnora (1907-1976); Clifford Earl (Jack) (1914-1983); Evelyn Lemoine (1915-1977); Annie Catherine (Nanie) (1916-1974). 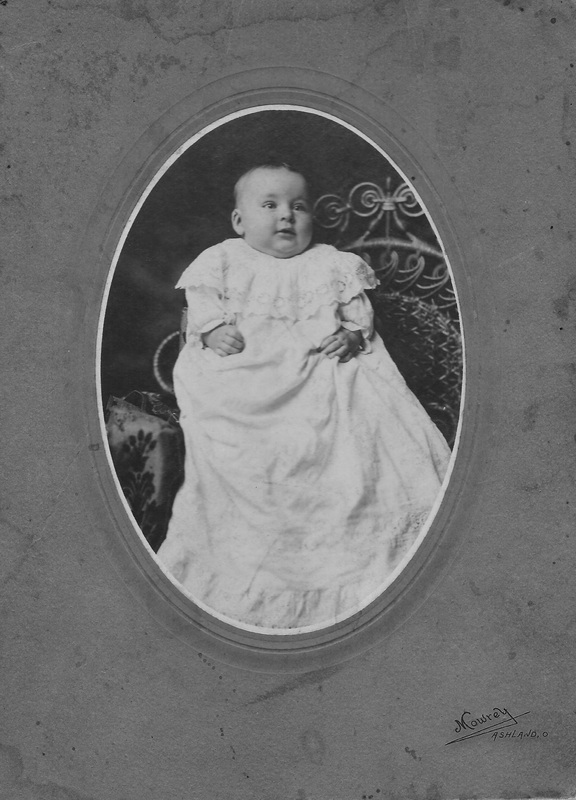 Three children would die in infancy: George (1908); Vila Levern (1911); and Russel Benton (1906). 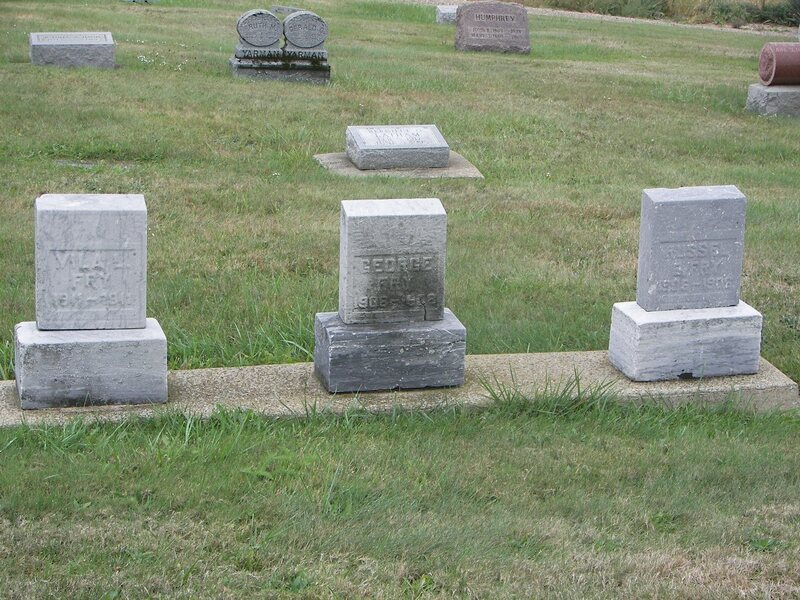 They are buried in Bethesda Cemetery at the intersection of County 707 and Township 2404, just west of McKay, OH. 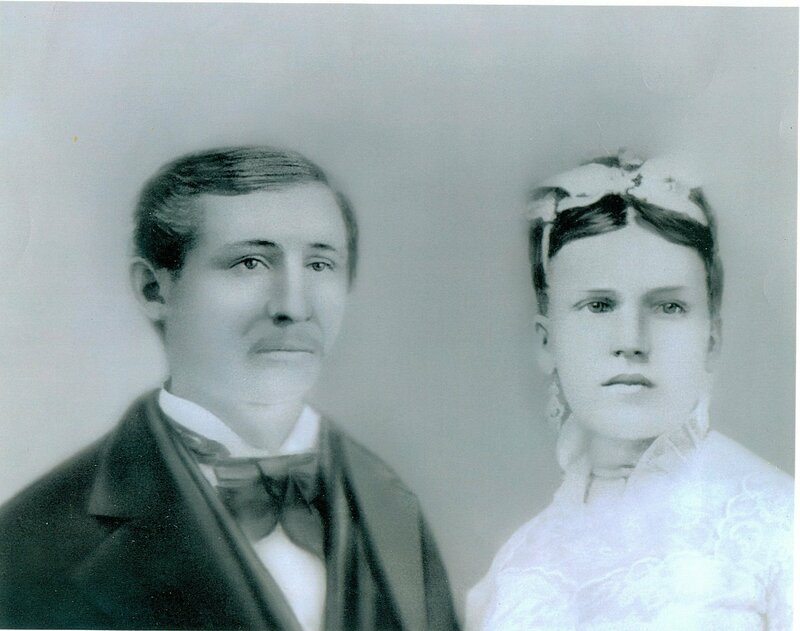 * George Benton and Maude Mae Sisson Fry portrait, a larger version of the picture on the home page. This picture was likely taken on the same day in 1919 as this portrait of Nancy Offineer Fry and her children. * Mae, George and Nancy Ann Offineer, along with two others (unknown) circa 1919. * Fry family in the Humphrey House (1905). 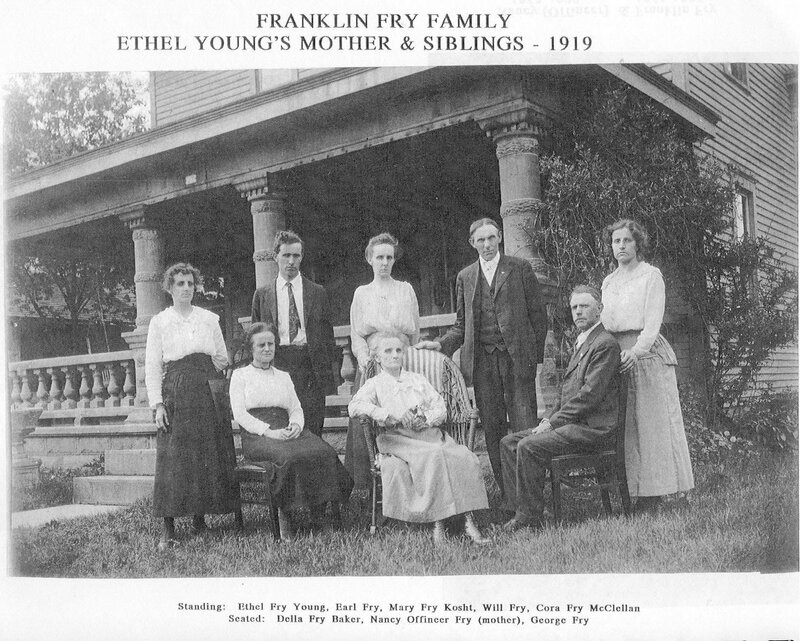 * Fry family in 1918: the earliest known photo of all eight surviving children. * Fry families -- George's family, plus Flora Ethel Fry Young and her three eldest children; William D. and Cora and spouses, as well as. Includes Nancy Ann Offineer, George's mother. 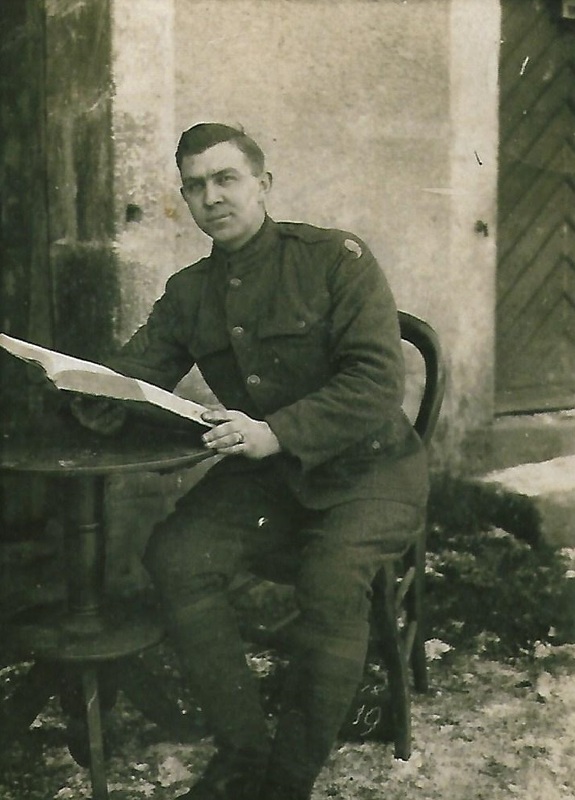 * Clarence Sisson, Maude Mae's nephew, was a World War I veteran, serving with the 308th Engineering Company. He would die in 1934. 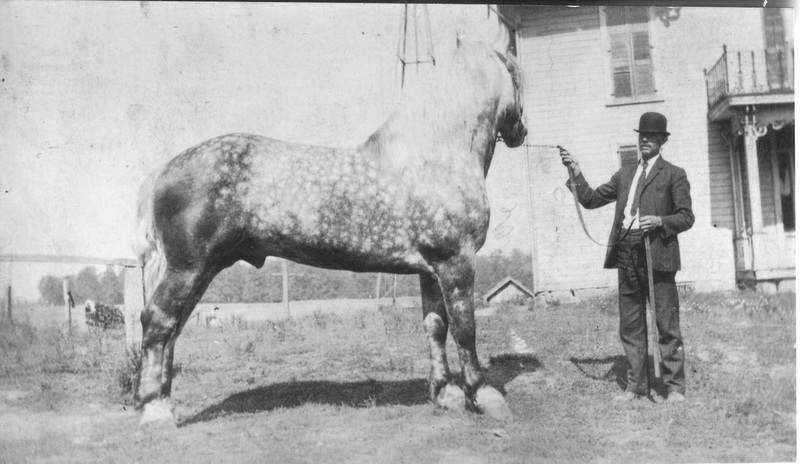 * George Fry with one of the last work horses, named King. Afterwards, tractors did the field work. 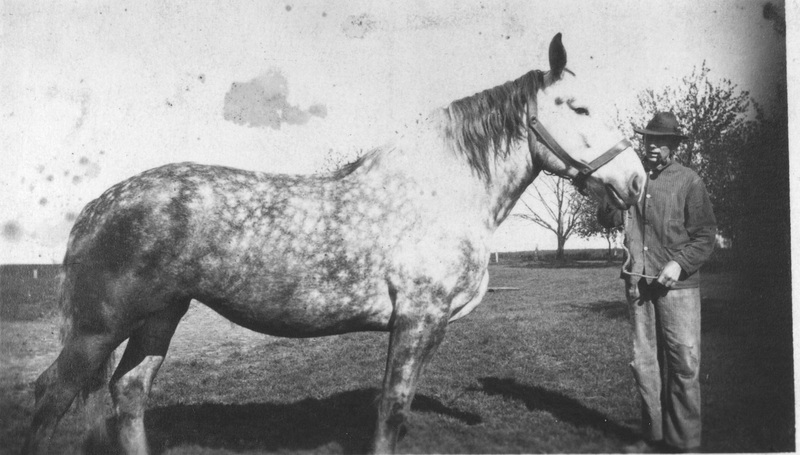 * George Benton Fry and his prize stud. * Will Fry, George's brother, with George's mare. * George and Edna Fry. * Three different views of George Benton Fry home on Township 673 in Nankin, OH from 1992. The house, the milk barn, milk barn and storage barn. 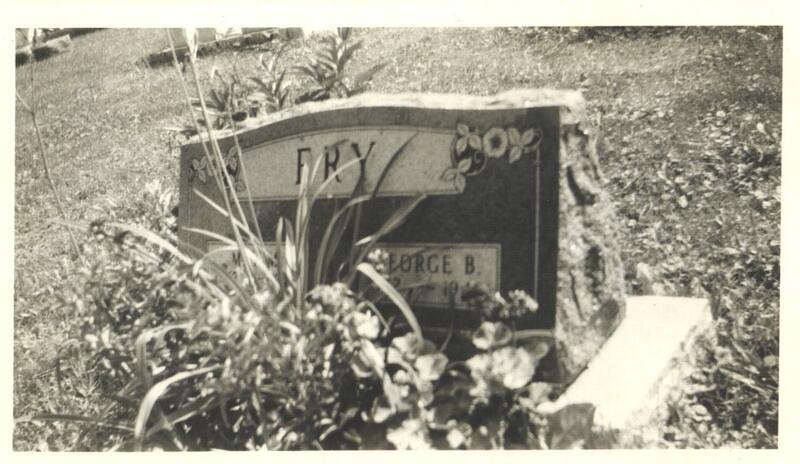 * Grave marker for George and Maude Mae in Ashland Cemetery. * Bethesda Cemetery headstones for (L to R) Vila Levern (d. 1911); George (d. 1908); and Russel Benton (d. 1906). Some of the children are pictured with their families in "Other family photos" links but if they aren't married yet, they're likely below. 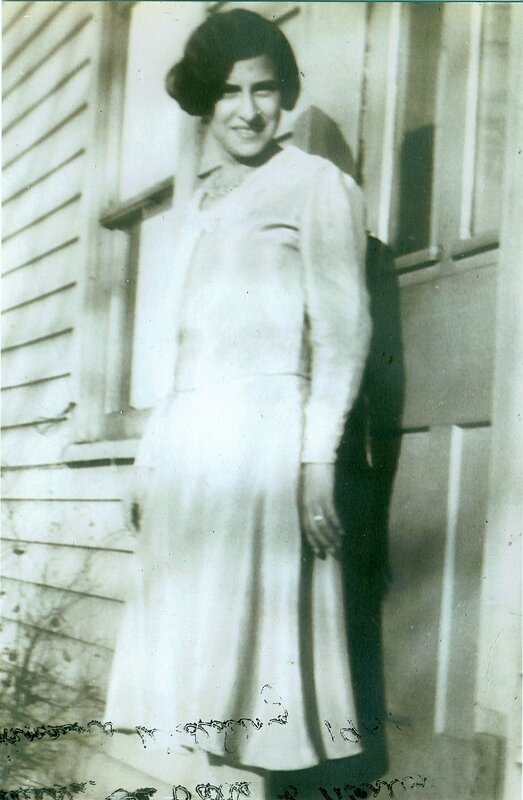 * Clifford Earl Fry's first wife, Mary Leuella Marie Johnson in a photo taken in 1933. 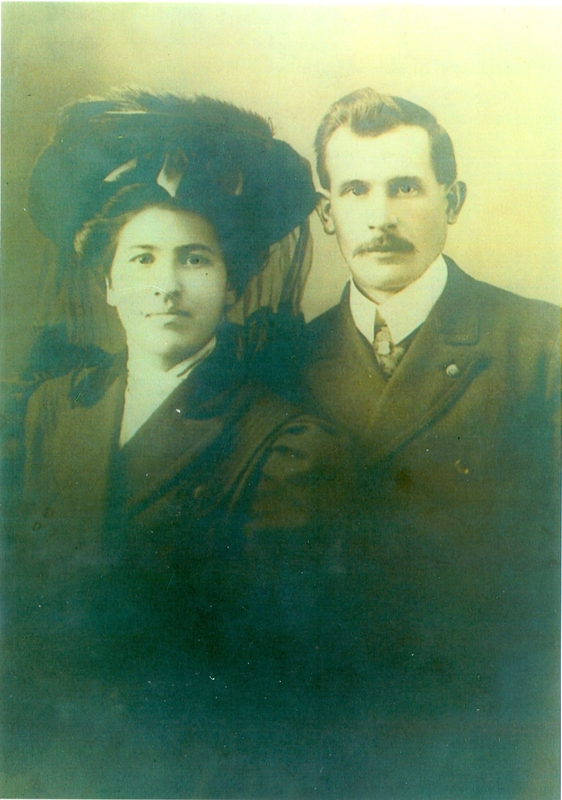 -- Mary Johnson Fry's parents, Matilda LaBatte and Merton Johnson in a 1901 photography. Merton R. Johnson was from Wooster, OH and was working as a stone mason on the Minnesota State Capitol when he met Matilda. Merton was also a Rough Rider (officially the 1st United States Volunteer Cavalry), serving with Teddy Roosevelt at San Juan Hill in 1898. 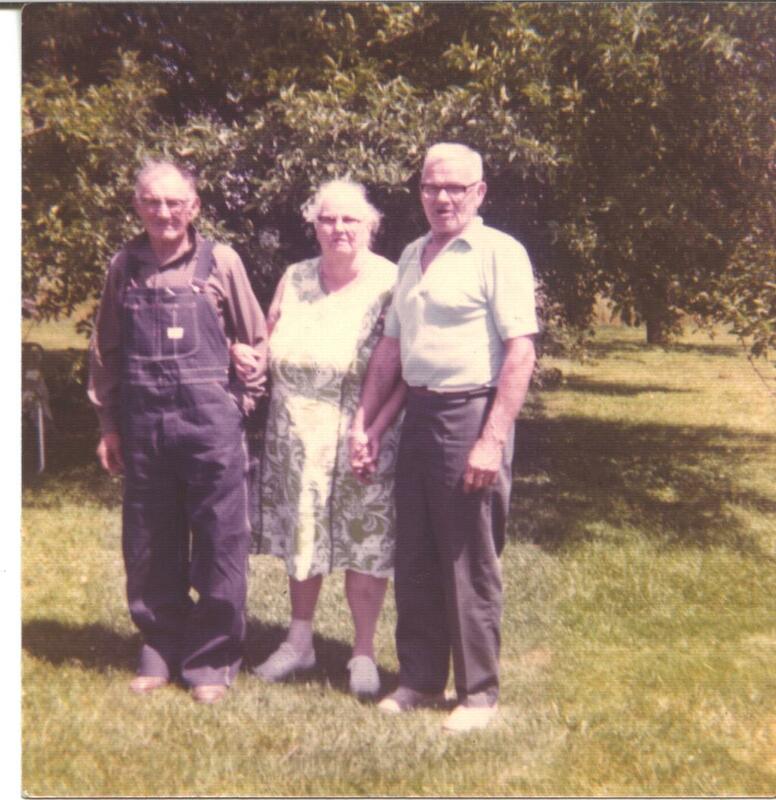 These are the grandparents of Doris, Edna Marie, Tillie and Earl. -- Almena and Peter Johnson, Merton Johnson's parents. * Jack and Mont Fry in a picture taken in 1978. 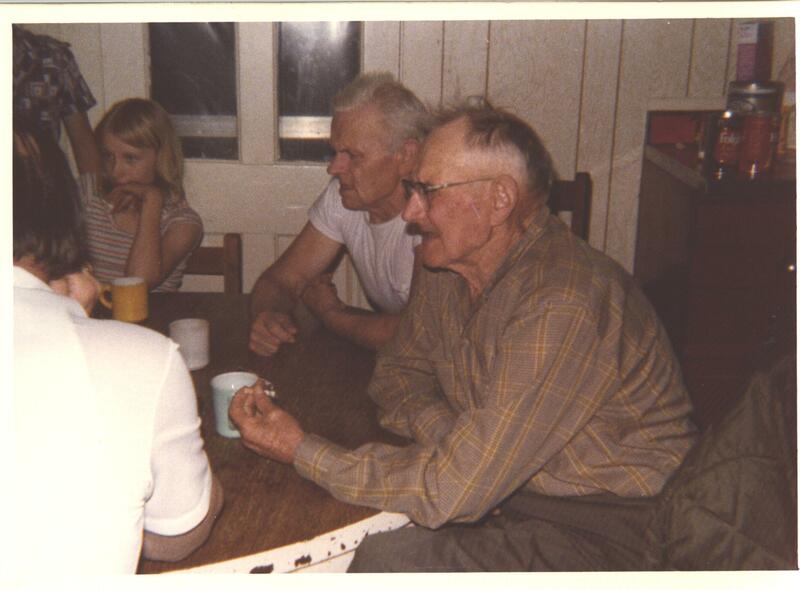 * Mont, Bernice and Jack Fry, also taken about 1978. * Jack and Betty Fry, New Year's Day, 1971. 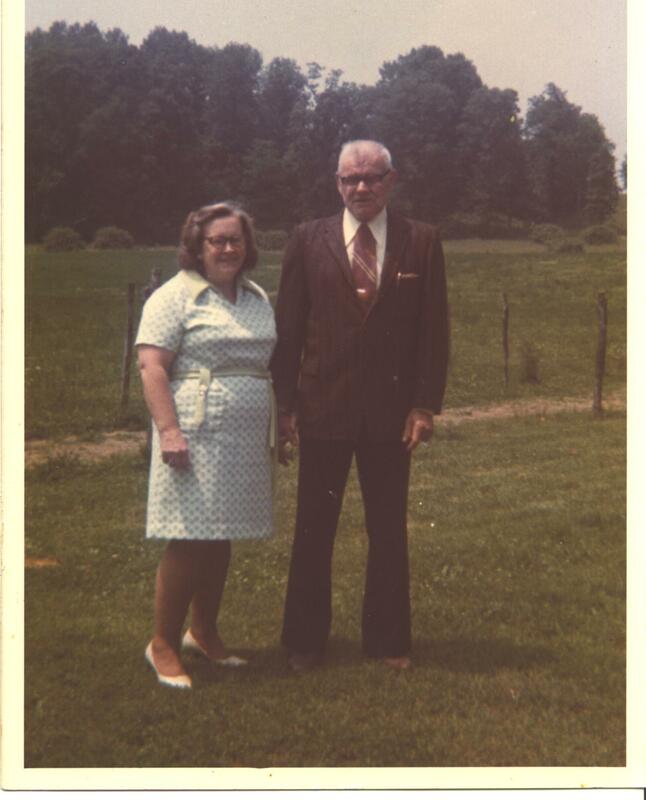 * Jack and Betty Fry, July 8, 1974. * Betty, Mildred and Jack Fry. * Betty Fry, Jack's wife and the last of the aunts, who died in 2002. 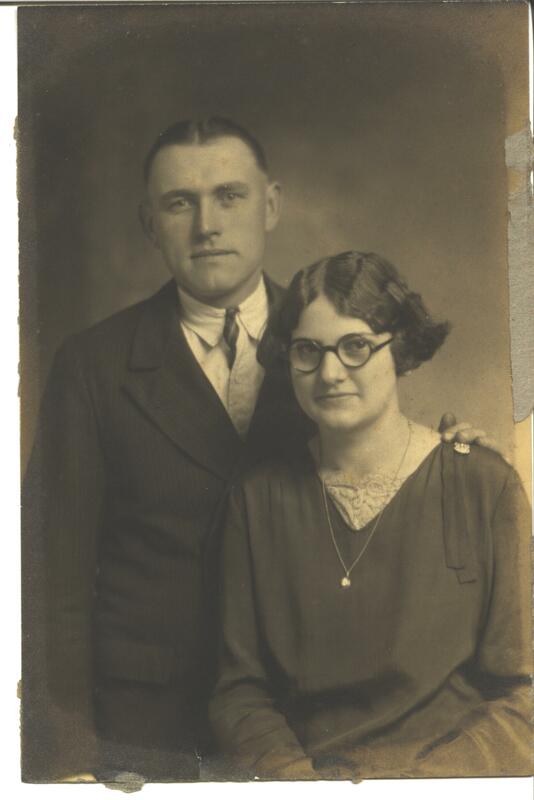 * Don and Mildred Fry in what appears to be a wedding portrait. * Mont and Leona, circa 1960. 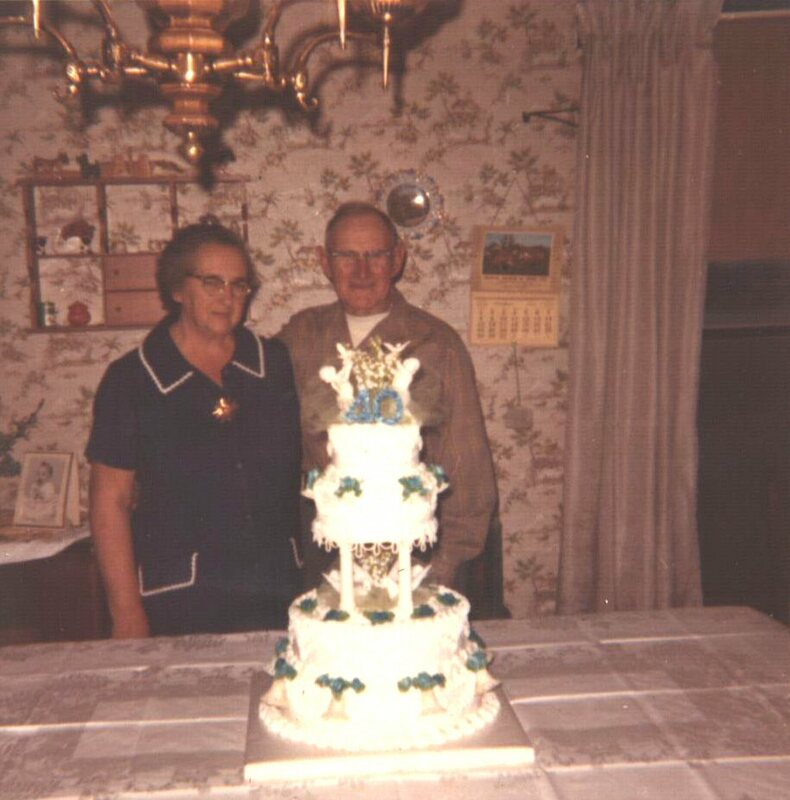 * Mont and Leona, 40th wedding anniversary in 1972. * Jim Pence playing peekaboo with the baby held by Edward Czernek (which has scarred the webmaster to this day). 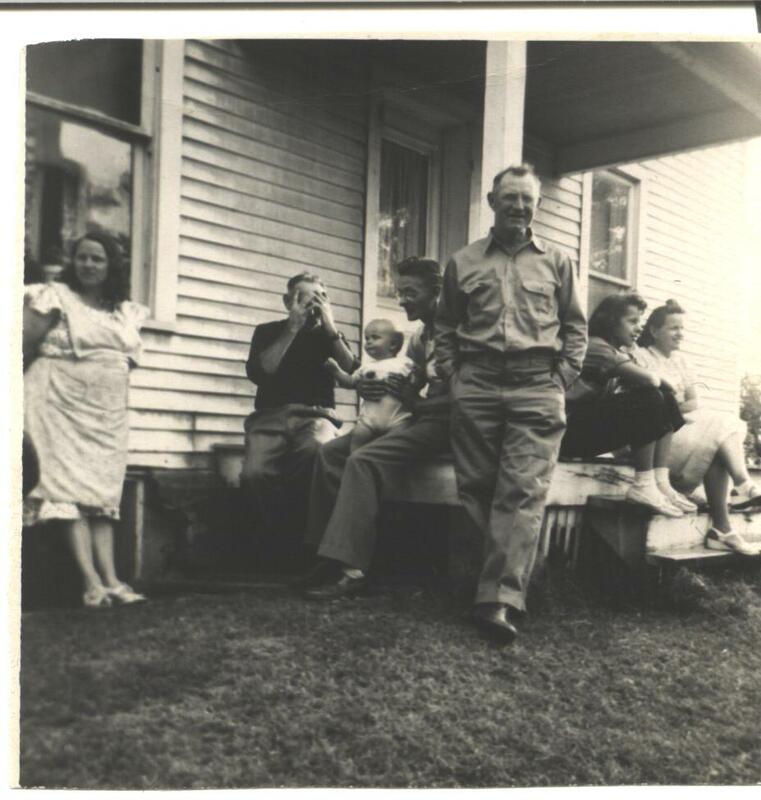 From L: Annie Pence, Jim Pence, baby Andy, Edward Czernek, Mont Fry, Tillie Fry, Evelyn Fry Czernek. Taken in mid-1951 at Mont & Leona Fry's home in Greenwich, OH. * Ashland Times-Gazette story about the Welch School, formerly on Ashland County Road 620. Photo from 1906 class includes Mont Fry, Don Fry, Charles Haun, Myrtle Fry (Haun) and teacher Sarah Ellen Donley. 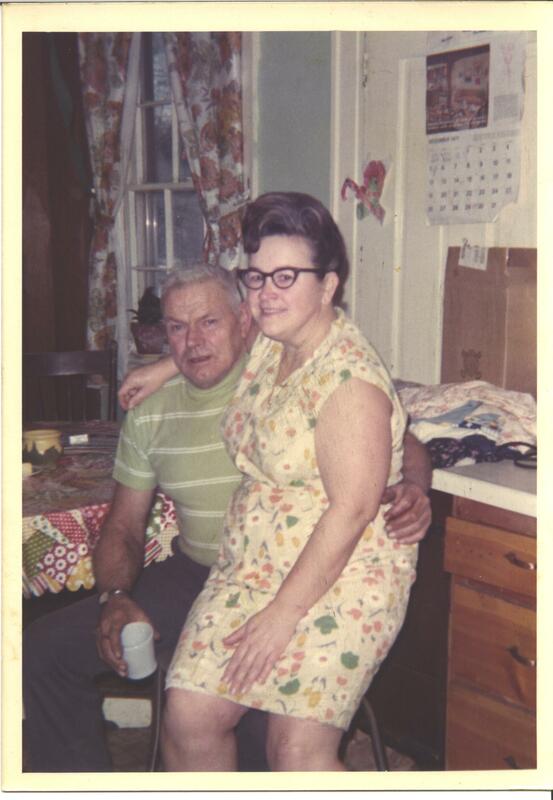 * 1966 photo of Doris Fry and Ray Samples' first house in Belington, West Virginia.